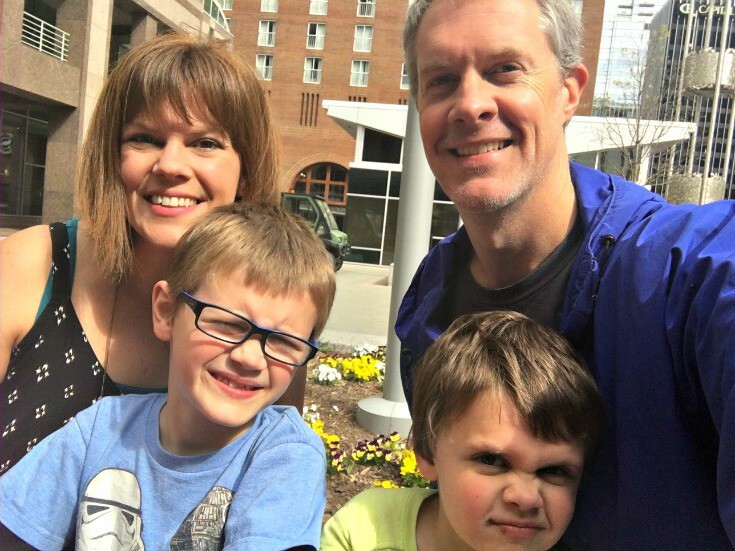 Well, today is Good Friday and both the boys are out of school. Jerry and I still have to work today but with a flexible schedule, I decided to take the boys out to the library and to try our new local shop, Rise Donuts, mid-morning. It was a simple plan; load up on books and sugar and head back home. What I didn’t realize was that the library was also closed today. Oops! The OTHER thing I didn’t take into consideration was the fact that we were visiting a brand new location for Rise (Cameron Village) and it was completely packed inside and out! 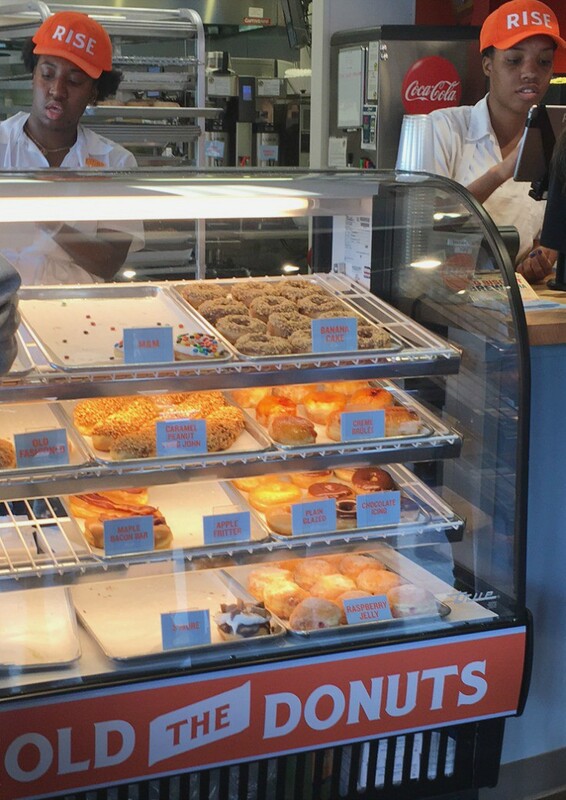 We waited (mostly) patiently in line and drooled over the many incredible donuts in the case. We decided that Daddy needed to try the Maple Bacon Bar so a new plan was hatched. 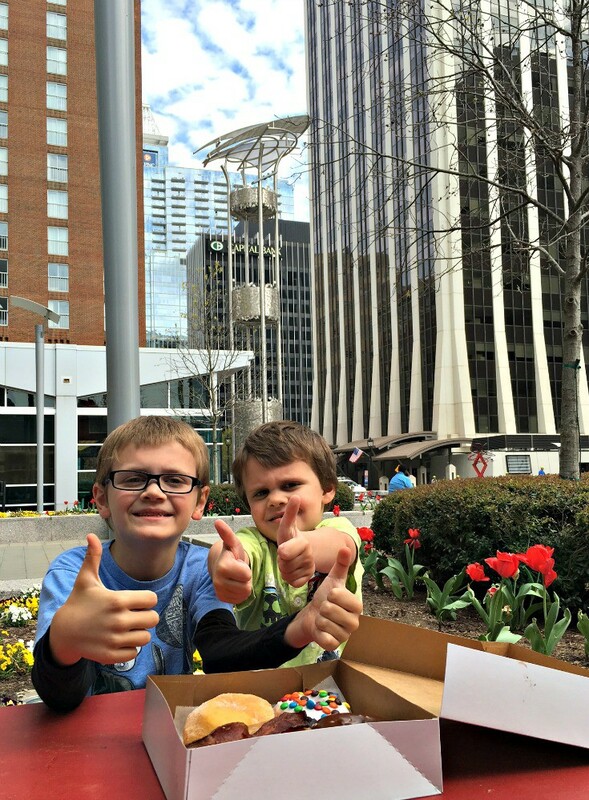 We would get our donuts to go and meet Jerry downtown for a family taste test! We chose four different flavors so we could get a well-rounded idea of our options. Each location has some “regulars” as well as specialized flavors so we had quite a few to choose from. You should also know that they have an entire biscuit menu, but we aren’t even going there yet. Guys, research and science take sacrifice, but we were up to the challenge. 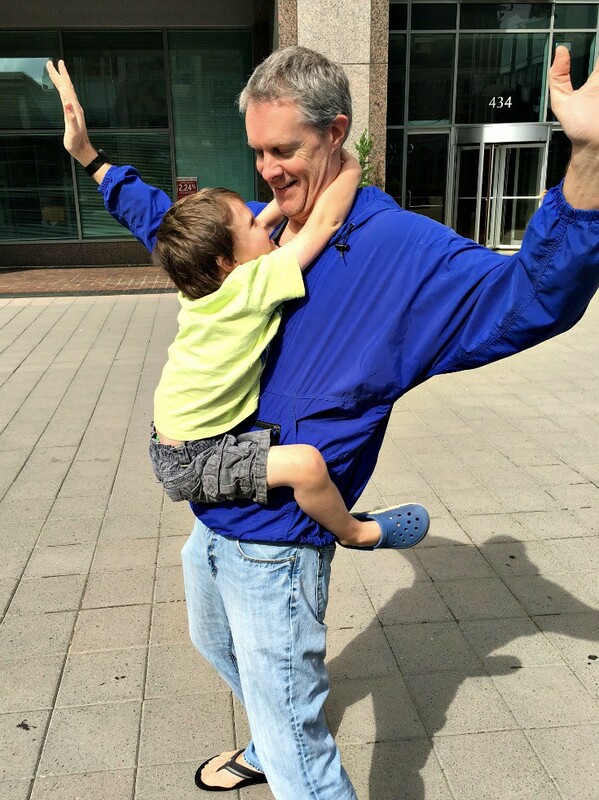 We made our way downtown to meet Jerry and had another nice holiday surprise, free parking! That one was just for me. Thanks, City of Raleigh. Our little table was protected from the wind and just as we sat down, Daddy came walking around the corner. The taste test was ON! We tried them all, each taking one bite at a time and I am here to tell you they were ALL delicious. I thought maybe the Maple Bacon Bar would be filled with something, but we were pleasantly surprised that it wasn’t. I was also impressed that each donut was fully glazed (with the exception of the raspberry filled one). That’s a big deal for me, especially with some larger chains starting to skimp out on the glaze. It’s a thing. And it’s terrible. SO after all our sampling and sharing there was definitely a clear favorite for the boys and me. We loved the simple Chocolate iced donut and it easily won the top spot. Jerry chose the Maple Bacon Bar, which didn’t surprise me. 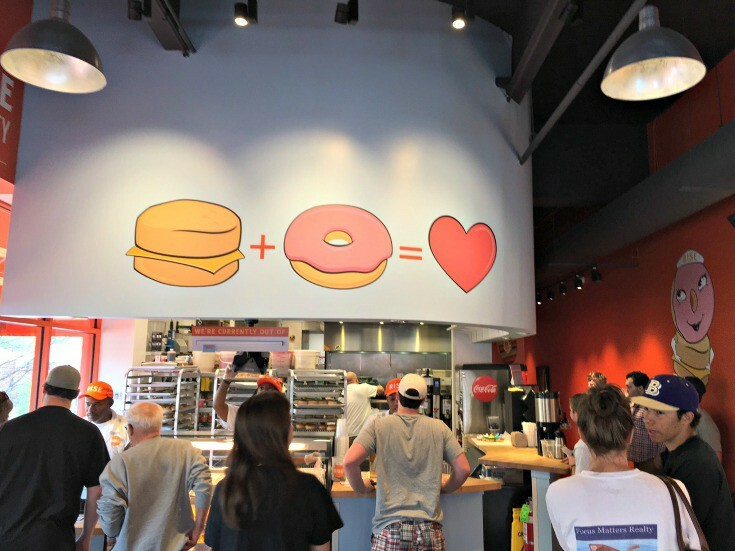 Overall, Rise is a great addition to the rapidly growing donut scene in Raleigh. 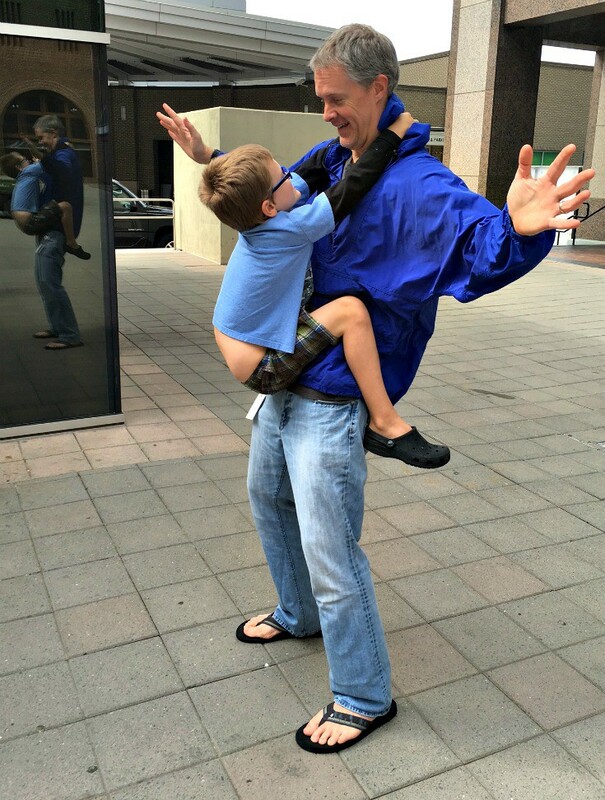 After our feast, it was time to get crazy and run off some of that energy. Sugar highs for everyone! 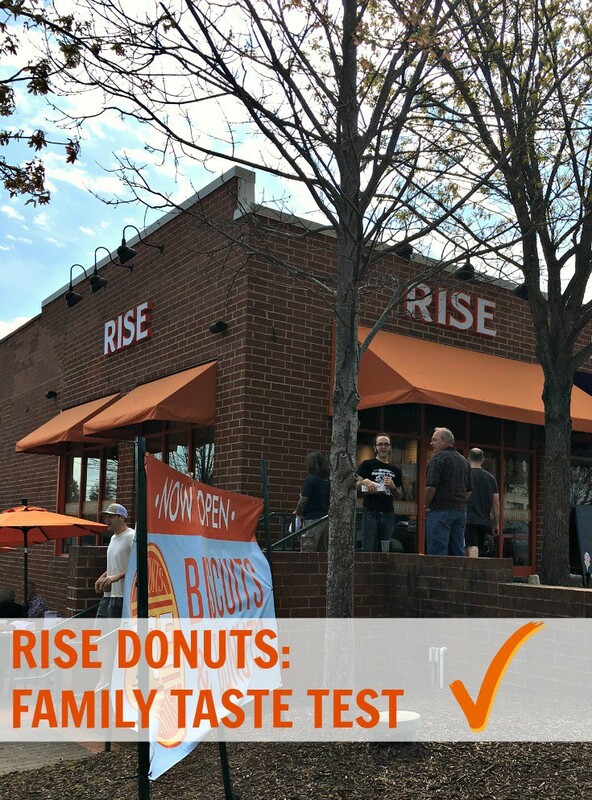 Thanks for reading our Rise donuts family taste test! If you liked it, feel free to give it a like, comment below or share with friends! 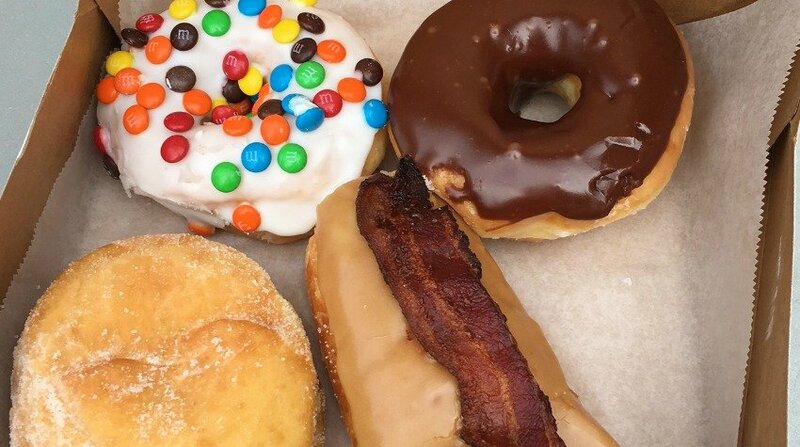 And stay tuned for more donut adventures as we conquer the many, many fabulous eateries in search of the best donut in Raleigh! What’s your favorite donut shop and/or flavor?